These are our ALL-TIME FAVORITE Dinner Rolls! 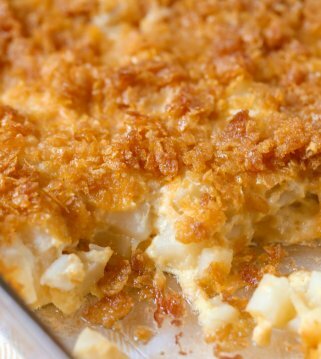 They are soft, butter-y and always the hit for any dinner or holiday get together. It’s so hard to eat just one! Nothing can beat the smell of homemade bread or dinner rolls being made. My mom has mastered her rolls recipe, and they have become a holiday dinner MUST-HAVE. In fact, I think it’s safe to say that they are always the first thing gone whenever they are made. These rolls are so good that they’re called Heavenly Dinner Rolls (pretty much describes what they are – heavenly). They are soft, melt in your mouth and are actually easier to make than you’d think! If you are like me, it may seem intimidating to make Homemade Dinner Rolls. They usually require yeast which can often be a little fickle to work with if you haven’t used it before. Fortunately, this recipe really isn’t that complicated. I was nervous to try it on my own, at first, but realized they were quite easy. You’ll begin by mixing your yeast in warm water and sugar. This will get bubbly after a bit. From there, you will mix warm milk (we just microwave or heat in a pot until warm – not scalding), oil, sugar and salt with a wooden spoon. One cup of all-purpose flour will be added, followed by 2 eggs and the yeast mixture. From there, you will add 3-4 more cups of flour. At this point, the dough should be sticky. This gets put into a large bowl that will be covered by a tea towel. The dough will rise for a few hours until it has doubled in size. Once the dough has doubled in size, it will be punched down and divided in half. The dough will be rolled into TWO 12 inch circles on a floured surface. It will be brushed with melted butter and then cut into 12 pieces, like a pizza. From there, each triangle piece will be rolled from the round edge to the point to make a crescent roll. The rolls get placed in a pan (we do 8 rows of 3). Then, we cover them with a tea towel and let them rise AGAIN (Yes – they will rise two times total). 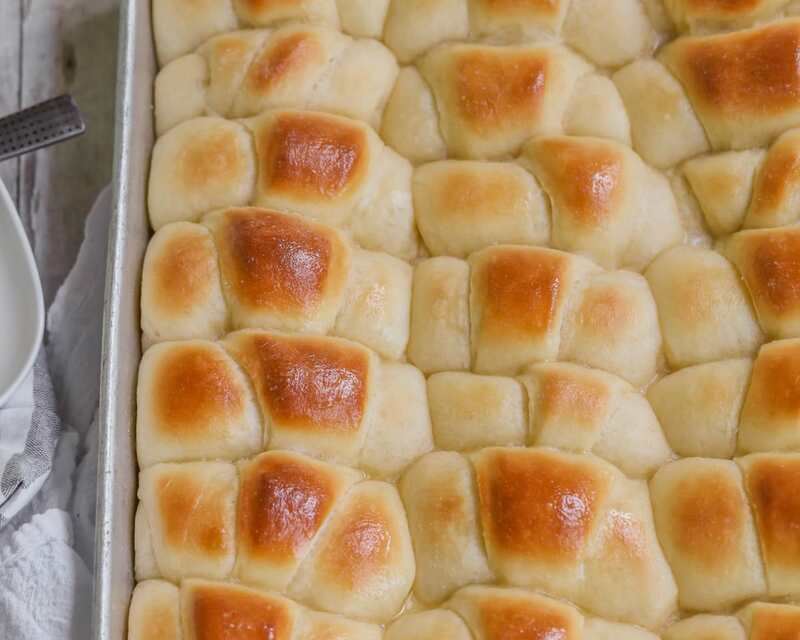 Keep scrolling because we have some FAQ below to help you make these delicious dinner rolls. What flour is best for dinner rolls? We use all-purpose flour. Can you use bread flour? Yes, but we don’t always have it on hand and think the rolls taste perfect with just all-purpose flour. What kind of yeast is best for dinner rolls? We always use the RapidRise active yeast for this recipe and for most of our bread recipes. Can rolls be made in the Kitchen-Aid mixer? Yes, you can make this recipe in the Kitchen-Aid. Just be careful not to overmix the dough because it will make it more tough and not as soft. Can you make rolls in the bread machine? Mine takes all the “wet” ingredients first (I combined the warm milk, oil, sugar, eggs first and put in – also the salt since I’ve been told don’t let the salt and yeast “touch”!) I used 4c. flour and the yeast but skipped adding the 1st 1/4c. water with sugar, as you don’t have to dissolve the yeast when using the bread machine and this dough is wet enough without it. I use my dough cycle which is 1 1/2 hrs for my machine. The dough turned out great and easy to work with. After shaping rolls I let rise covered in my “barely warmed” oven for 1 1/2 hrs. then baked for 15 min in my oven. We love them! 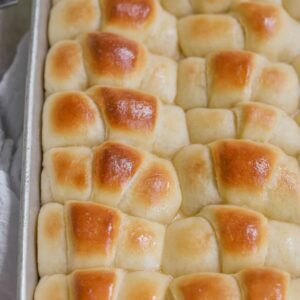 How to shape dinner rolls? As mentioned in the directions, these rolls are made by rolling the dough out into a circle. From there, you cut it like a pizza into 12 pieces. From the round edge, you then roll the dough to make it a crescent roll and place in the pan seam side down. How to freeze dinner rolls? We suggest freezing the rolls right after they are formed. Then, take them out a couple hours early to let them rise to about double the size (which will take longer obviously since the dough is frozen). How to store dinner rolls? To maximize shelf life of dinner rolls, be sure to place in a Ziploc bag or wrap in foil and store at room temperature on the counter. Don’t they look just perfect?! We hope you love these soft and fluffy dinner rolls. Mix 1 TB yeast with ¼ cup warm water and ½ tsp. sugar. Let stand until bubbly. In a large bowl mix 1 cup warm milk, ½ cup oil, ½ cup sugar, 1 tsp. salt with a wooden spoon. Add 1 cup of flour to mixture, and mix well. Add 2 eggs and beat until smooth (mix vigorously be hand). Add yeast mixture and mix vigorously until smooth. Add 3-4 cups flour to the yeast mixture. Dough should be very sticky. Pour the dough into a large bowl. Cover with a tea towel and let rise for a few hours until it has doubled in size. Once the dough has doubled in size punch down and divide in half. Roll dough onto a floured surface making TWO 12 inch circles. Dough should be about ⅜" thick. Brush dough with melted butter. Cut circles with a pizza cutter into 12 pieces (like a pizza). Roll from rounded edge to the point to make a crescent roll. Place into a greased pan (we use an 11 x16 metal pan and do 3 across and 8 rows down). Cover dough with a tea towel and let rise for a few hours until it doubles in size. Bake at 375 until light lightly browned, which is about 15-20 minutes. NOTE: Touch rolls to see if they bounce back - if they do not, bake a little longer). Brushed with melted butter right while warm. ENJOY! Those rolls are the yummiest! 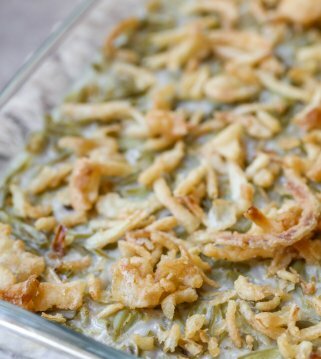 I think that is the same recipe that my mom gave me and I use and it IS heavenly!! Oh my goodness these look so good! I am pinning so that I can give them a try! Oh my stars- bread is such a weakness for me. Those look so tasty! Oh my word, these rolls certainly do look heavenly. And so do all of the side dishes. No kneading? I love no-kneading! Makes them even more heavenly. 😉 I’m the designated holiday roll person, so these will come in handy. Thanks. Did you mean that we just stir the ingredients using a big spoon and no kneading, please clarify. I’d like to try this on Thanksgiving. Thank you. 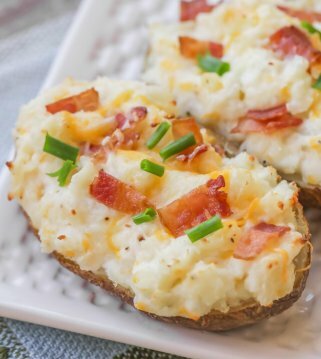 THE POTATOES LOOKS YUMMY, BUT WHY ARE THEY ‘FUNERAL POTATOES’? I think it’s because it was a common casserole to bring to funerals. ?? Because we (latter-day saints) make them for a funeral. Fast and easy to make. These look amazing!!! I have added this recipe to mine. Can’t wait to try them out! Thanks for sharing your mom’s recipe!!! Can I use my Kitchen Aid for mixing or is it better to just use a spoon? I used my kitchenaid sTand mixer to make this recipe! They were perfect! I’m making a second batch now because my son ate all the leftovers from thanksgiving and my husband was looking for the leftover rOlls this morning! That’s the best! I am glad you all liked them! Thank you so much! Wow! How can you not make these rolls after reading the description and seeing the pictures? Being a sucker for anything that claims to be “heavenly” (or in the case of beauty products, promise to be age-defying), I’m making these rolls today. I will post them onto my baking board on Pinterest. How did they turn out?!? They turned out amazing! So addictive… Had a hard time not consuming a dozen by myself. Take a peek on Pinterest at bakergirl204 under My Baking. Forgive the picture, my photography skills are nowhere near as good as yours. Just checked your pin!! LOVE it. SO glad they turned out. Wishing I had some right about now!! I wanted to make Sure I’d have enough time to make them once I got there. I made the last week to test out the recipe before thanksgiving. They were awesome! I have a question though. Do you think I could make these and before the oven step, put them in the fridge overnight and then bake in the morning??? Hi Julie! To be honest, we’ve never done them that way so I’m not for certain. I would look up a similar recipe that does call for refrigerating them and then do that part as that recipe suggests if that makes sense. Wish I could be more help! I made my mixed my batch the night before at bedtime, got up in the morning punched down the dough and rolled them up and let them rise someplace warm. They didn’t take long at all to rise the second time. I remember my Grandmother used to make some similar to this and she would make hers the night before all they way but she also popped them right in the oven in the morning, that was why I waited I needed them piping hot later in the day. Yes! I’d lOve to know the answer to this, too. Thanks! I personally haven’t tried. I am not sure if that would change anything. I need to experiment more! These look so good! What type of yeast do you use? I made these tonight, for thanksgiving tomorrow. I’m super excited to try them! I am soooo happy I found your site!!!!! I cannot wait to try all your bread recipes…and all your recipes…I am just starting to go through and seriously, I will be stuck on the computer for the whole day…. What kind of flour are you using for these recipes? I made them tonight and they were so good!!! My 3 boys and husband loved it. I made 24 rolls last night with sweet potato soup and only 5 are left for breakfast today 🙁 They were looking for more. I can’t wait to try your other recipes! Sorry but ” regular flour”? What does that mean. Self raising it plain? Oh my, I made these for Thanksgiving and I’ve gotten requests to make them again so I’m gonna go whip up a batch…or two!!! Great recipe I think it has already become a family favorite. Thanks!! I am making these as I type, well they are awaiting the rise time. I used the kitchen aide mixer so I am hoping they turn out as I read through the comments no one has said if the mixer worked or not. I also used the regular yeast not the rapid yeast as the recipe did not say one way or the other, but I assume if you have to let it rise for a while it would be the regular yeast, so that is what I used. I also only used 3 cups of all purpose flour as again the recipe did not state which type of flour to use and this does make a difference, and since I did not see any baking power/soda I again assumed this to be all purpose flour. I will try and post the outcome when they are finished but that wont be until hours later from now. I do hope they turn out well..they sure smell good so far..anything Yeast has got to be awesome! Thanks for sharing this with all of us! UPDATE: The rolls turned out wonderful! I used the kitchen aide mixer and wow oh wow these really are heavenly. But I must say…I feel so stuffed like a turkey right now I feel miserable. Hubby said I for sure have to keep on making these…Thanks for the recipe. One tip, depending on your oven you might need to back down that temp to 350 so as to not burn the bottoms. I guess this depends on where you live and how good of an oven you have temp wise that is. 🙂 Enjoy folks, I know I did! Did you use your dough hook attachment or the paddle on your Kitchen-Aid mixer? What’s TB yeast? Is that a specific kind of yeast? I need to know, too. Is it the packets? (Yeast is what im referring to) please let me know! Thanks. I believe that means Tablespoon of yeast! Yes, temp is important. It needs to be warm 🙂 Keep trying, you’ll get it! I am just wondering how you get that perfect crescent shape?!?! Can you post a tutorial? I would love that. My turned out SO good but don’t have that perfect shape like i’d like. Thanks! These directions don’t make a lot of sense. It says to divide the dough in two, but only make one circle to cut 12 pieces? I love this recipe! I’ve made it a few times since I found it on Pinterest. Super easy and delicious. Thank you!!! Thanks for stopping by, Jenni! Comments like yours make my day. These our definitely our favorite rolls. Always so soft and delicious, especially when they’re fresh from the oven. 🙂 Thank you for stopping by, and I hope you have a great week! Those rolls to look Heavenly! Pinned! These are the same rolls my grandma has made for years…they are so delicious, and always gone way too fast. Makes me want to make a batch now! Quick Questions: when you say 3-4 cups flour, do you mean 3 to 4 cups of flour or 3/4 three fourths of a cup of flour…..and how much time in total do you need to make these, including rising times? Hi! This looks delicious! I can’t wait to try these for Thanksgiving! Quick question, #4 and #8 it says to cover with a tea towel and let raise for a few hours. Soooo, you do this process twice?? Just want to double check. Thanks! These are delicious!!! I am making them right right now. I am bringing them to Thanksgiving tomorrow. I was just wondering what type of butter do you use? Unsalted or Salted? I think i used the Country Crock salted butter last time. These are Amazing though!! A new recipe to be added to my cookbook of recipes. Thank you! SO glad you like it. I usually use unsalted with baking, but salted butter still works as well. Happy Thanksgiving!! Just wondering could you make thiese rolls into balls instead of crescents ? Also it says bake a 375 is that fareneights ? I am in australia and have a convection oven do you know how much i need to put it at ? My daughter and I made these the other day for Thanksgiving and they were a huge hit!!!! They were almost flaky like a croissant- absolutely delish!!! I did use my kitchen aid mixer but made sure not to over mix the dough. Definitely a keeper recipe!!!! These look amazing! Can the dough set overnight in the refrigerator? I made them and they are si good. Thank you for sharing. I think it’s rising twice for a couple hours each time throughout the process, not 4 hours all at once. how many does this eecipe make? Thanks in advance! How many rolls does this recipe make? I guess its 12 but still need to confirm. Thanks in advance! Hi Luna;do i have to knead this sticky dough or just combine the flour into the egg yeast muxture?I want to make these rolls. what does TB mean for the yeast? Could you clarify the 3-4 cups of flour? Is that 3 or 4 whole cups or 3/4 of a cup? Loved these. Yeast stuff doesn’t always work out for me, but this sure did! Super easy, but next time I’ll start making them more around 10 or 11 am to go with our supper. couldn’t believe how much they are like a crescent roll, only better! I also didn’t have that big pan, so I put 8 rolls in a 8×8 pan and the rest in a 9×13. Still perfect! The rolls turned out looking really great. They were soft and fluffy. However, it tasted very much like alcohol or perhaps yeasty. I felt that it was almost beer like in taste. Could it be that the bread was over-proofed? Thanks! Do you also happen to know if it is safe to consume? okay, I am obviously not the baker, but I did try it again. This time, I made sure not to let it proof for too long. The taste was great, but I was not able to bake the rolls evenly. Is this an issue with spacing? I did not have as large a pan. Thank you for putting up with all of my elementary questions! Hi Peggy – no worries at all. I’m sorry you had any issues. It does depend on the pan, how many you put in there and how big you made your rolls. Do they look pretty similar to the pictures in this post? I have never made rolls in my life, l have made a lot of other things. I am going to try these this weekend. My husband loves roll so I am doing this of him. Wish me luck!!! They sound great and by all the comments from the people who have made them, they must to be good. What is 1TB of yeast in measurements? I already made this rolls several times and the whole family love it. Thank you. Aren’t they the best!! Glad your family loves them, like we do! It’s just a tablespoon of yeast:) I hope you try these and love them as much as we do!! Could this recipe be made using the “dough” cycle on a bread machine? I’ve had pretty good success with other bread, bun recipes with making the dough in my machine and wondering if this one would turn out good results. I haven’t tried it using a bread machine. I know my mom does the old fashioned way-her hands:) You could give it a try in there…I’d love to know how they turn out! Couldn’t wait to try some – so did, they turned out fantastic and can see these will be hard to leave alone!! I used yeast for bread machine plus bread machine flour. Mine takes all the “wet” ingredients first (I combined the warm milk, oil, sugar, eggs first and put in – also the salt since I’ve been told don’t let the salt and yeast “touch”!) I used 4c. flour and the yeast but skipped adding the 1st 1/4c. water with sugar, as you don’t have to dissolve the yeast when using the bread machine and this dough is wet enough without it. I use my dough cycle which is 1 1/2 hrs for my machine. The dough turned out great and easy to work with. After shaping rolls I let rise covered in my “barely warmed” oven for 1 1/2 hrs. then baked for 15 min in my oven. We love them! This dough would probably work well “shaped” for other things too…will have to experiment! Hello, this is going to be my attempt ever at making bread just wondering what type of flour I use, is it self raising it all purpose plain flour? can you freeze the dough and bake later. I haven’t tried, but I bet you could? Most things freeze well and bake well, so I’d love to know if you try it! Can the heavenly roll be refrigerated then last rise before baking? I honestly haven’t done that, so I’m not sure. I make them and go from start to finish. Has anyone done that?? Hi! I can not wait to try these! Do you use regular yeast or rapid/quick rise? I was wondering if I I need to adapt the recipe if I use rapid rise yeast? Thanks so much! I always use the rapid/quick rise yeast. You could use what you like or what you’re used to, that’s just what I like. Hope that helps!! Thanks! I have made these several times now, and they are AMAZING! Heavenly is the perfect description. 🙂 Thank you for a fantastic recipe!! Yay!! Thank you so much for telling me! Hi, I have a question. Can I make the dough the night before and just bake in the morning? At what step do I stop and resume the next day? Thank you so much. I’d like to make these for Thanksgiving. I personally haven’t tried, so I wish I knew for sure. If I were to freeze them, I’d probably freeze them once you have formed them into the crescent rolls, before you bake them. Hope that helps! Good luck! I’ve been making these rolls (this recipe) for more than a year now. They are always a big hit. I made 8 dozen for Thanksgiving and froze them. I have used A-P and high-gluten flours but use only high gluten now, the difference is very noticeable. The rolls are great if formed and immediately frozen. I take them out a couple hours early to let them proof/rise to about double in size. I bake them only at 350 degrees F for 15 minutes. This is a very soft , rich dough and is best mixed by hand. An electric mixer or bread maker can be used but it really doesn’t need to be worked that much. Once all 3 cups of flour are incorporated (no flour is visible) it can be put in a bowl, covered and left to rise. I’m curious how others make the 12 triangles consistent. I found a 18″x24″ plastic at a kitchen store, made to roll out pie dough, etc. it has several concentric circles, one is 12″ in diameter. A You-tube video for dividing a circle into 12 triangles, helped me lay it out on the plastic. Using a Sharpie I made 12 dots on the circle. Now I roll out the dough, brush on the butter, and use a pizza cutter to make all 12 pieces identical. Sorry to be long-winded, but I’ve had a LOT of fun with it. Jason, did you only use a total of 3 cups of flour or are you implying that “once the additional 3 cups are incorporated,” after the first cup is stirred with the wet ingredients? Hi! I made your heavenly rolls, they were great. Thank you so much for the recipe they are easy too. I’m so glad you liked them!! Thank you for letting me know! I haven’t tried! I don’t see why not 🙂 Let me know if you try, I’d love to know! Thank you! That sounds wonderful!! Thanks for sharing and I hope you like them! Great recipe! I threw all the ingredients into the bread maker — wet ingredients first and using 5 cups of flour — and the dough turned out perfectly! Yay 🙂 Thank you for trying it and I’m so glad it turned out perfectly! Please help , will this work with almond flower? I have never used almond flour, so honestly not sure? If you have used it before in bread, then it should be ok? I’m sorry, I’m not much help..I need to try using almond flour. i know i sound stupid asking this Q but im a beginner.. forgive me.. 🙁 but what kind of flour did you use? all purpose flour or the bread flour? She’ll love it!! Thanks so much!! Absolutely approved!!!! I just tried the recipe, it’s delicious! Thank you so much for sharing! Yay!! Thank you so much for giving them a try! I love hearing that they were a hit! The recipe was posted on my fb by my student and I am glad to have tried it.I was so happy with the result…the rolls were perfect, the taste was incredibly delicious, soft and buttery indeed. Thank you lilluna and to my student for sharing the recipe. .. Does it need active or instant yeast? Hi, it looks really yum. Plan to make them right away. Just a quick question, do we add 3 or 4 cups of flour ? Thanks a lot for sharing the recipe ???? Thank you! I always start with 3, then I may need to add a little more as I go. It just depends on where you live, the humidity, etc. If they are way to sticky, then you’ll need to add more. Hope that helps 🙂 Good luck! I always use instant 🙂 Hope that helps and hope you enjoy the rolls 🙂 Thank you! That makes me so happy to hear!! I’m so glad you tried it! Thank you! The most loving and yummy looking bread I ever seen. LOL..it is!! You’ll need to try it 🙂 Thanks so much!! It is just regular all-purpose flour. Thanks so much for stopping by!! I made the heavenly rolls recipe yesterday and they were unbelievable! My question is can they be frozen and then thawed and heated and still taste as good? I want to make them for Easter and want to make them a few days early…. Thank you for trying them! We never have any left to freeze, but they should. Let me know what you think, if you do. Thank you! Ummm…. did you double the recipe? Instructions say to cut into 12 pie shaped pieces but you put 24 in the pan. Thank you for the recipe! I tried this last Saturday and I am extremely sad that it turned out so bad. My dough never rose even if I waited for so many hours for the first part and the second part when they are in the pan. Also, the yeast didn’t bubble as expected based on your first instruction. I baked them and they turned out hard and didnt rise as well but the insides were uncooked.Quite sad that it didn’t turn out well but your bread looks soo amazing! Oh, I am so sorry it didn’t turn out. I’m trying to think of why it wouldn’t have. I’m glad you gave it a try though 🙂 Hope you’ll try again! It takes awhile for the yeast to bubble. It doesn’t happen right away. That’s probably why they didn’t rise or cook well. Also, it took mine awhile to rise and I finally put it in an oven on warm and that helped. Sorry it didn’t work but try again and wait until your yeast bubbles up. Mine almost bubbled out of the cup it was in but that wasn’t until I had made the dough so it took awhile. Yes, good point Joni. If you didn’t see bubbles & started the process, you may have started too soon. Yeast can be tricky! I’ve had to start the part over before, if it never bubbled. My family always has pigs in a blanket for Christmas Eve and I’m in charge of them this year. I want to avoid using the store-bought crescent rolls that are full of awful ingredients. Do you think these rolls would work to make pigs in a blanket? Hi there, I really love the recipe and would like to try it, but what type of flour does the recipe require? It states two different measurements for flour. Kindly clarify. Best wishes, Jo. It’s all purpose flour and it’s different measurements for different steps in the instructions. Hope that helps. Good luck! Hello!! can I use almond milk or it has to be cow milk? I can’t wait to give them a try! Thank you in advance! I haven’t tried using almond milk. It might change the flavor a little, but you could always try. I’d love to know how it comes out. Thanks! These look like they would be Great to make little Pigs in a Blanket !!! Just cook up your little smokey breakfast links or the little smoked sausages for parties. Makes me hungry just thinking about what other goodies to roll up in them !!! And, how much Better this dough would be over that stuff in a tube ! Haha!! Yes, those would be great! Let me know if you try them..Thank you! I tried this recipe today but I used one pack of instant yeast and just mixed all the ingredients together (Less work). The rolls were wonderful. I had to restrain myself from excessive indulgence. Do u still add the sugar with the instant yeast? Can these be made up to step #8, then put in the refrigerator over night and baked the next day? I have always done it in the same day. I wouldn’t know if that would change the outcome. I’m sorry. You could always give it a try?? Can you double the recipe or should i make 2 batches? You could double it. I hope you like them, as much as we do! Thank you! your recipe posted here are s affordable and delicious. Keep checking back to the blog, there are lots of yummy recipes to try 🙂 Thanks so much! I’ve made these rolls lately and brought to office for my colleagues. Yeah.. devoured in minutes!!! By the way, is bread flour better than all purpose flour? ???? That’s awesome!! I can see why..they are the best! Thanks for sharing! Can you pleas clarify what kind of flour is used ? All purpose or self rising ? Can I use coconut milk instead of regular milk? I personally haven’t tried that. Not sure how it would change it? I don’t use coconut milk that often. Anyone else try it? I use all purpose 🙂 I hope you try these and like them! Thanks! The rolls looks great. Will surely try them. Just want to clarify which yeast have been used? Active or dry? There are different types, right? Yes, there are different kinds. I use the instant, active yeast. Hope that helps and hope you’ll give this recipe a try 🙂 Thanks so much! These rolls literally are heaven! And to make them even better they are VERY easy to make. I love bread and these are just amazing!!!!!!! I will be making them a lot! Thank you so much !! 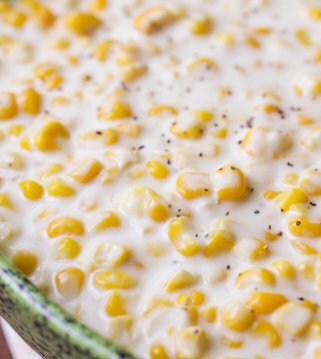 This recipe is so easy and delicious, I made it for my niece last night and she loves it! YAY!! They’re definitely a family favorite! My son is allergic to dairy….has anyone tried substituting the milk and butter? It looks yummy ???? What does 1 TB yeast means? What type of yeast to use and flour? 1 TB is 1 tablespoon 🙂 I used regular all purpose flour and active dry yeast. Hope that helps you! Kristyn, my daughter told me about your Basic Homemade Bread recipe and I will be giving it a try this week. I come from a family of 12 kids and my Mom baked 4 loaves of bread 7 days a week for many years. I am also a lover of hot homemade bread and I have taught my daughters how to do it too. Here is another thought for you, I take a zucchini and peel it and then remove the seeds if it is a big one, and then I run it through the blender to liquefy it and I add it in place of half of the liquid I use in the bread recipe and it make good fluffy white bread too. You don’t taste it in the bread and the bread come out as white as regular white bread. Try it sometime and see what you think. The only difference I find is that it takes a little less flour than the recipe calls for. Thank you for sharing that! I will have to try! Let me know what you think of these rolls 🙂 Thank you so much! Looks Delicious my wife dont like to much bread and would be wonderful for her. Is it bread flour you use ? It really is so good! I just used all purpose flour 🙂 Hope she’ll like them! So I’d like to try this as a loaf of bread instead of rolls. How much would I need to change the ingredients? Double them? Just roll the dough in to a loaf instead of sectioning off into rolls? I haven’t tried. I wish I knew. I’m not an expert with bread yet or at least changing recipes to make them into loaves, so I wouldn’t want to tell you the wrong thing. I’m sorry. I’ll have to play around with the recipe & find out! Just plain all-purpose flour 🙂 Hope you like them!!! They are seriously the best! How much is 3-4 cups of flour? For sure I will make these. I’ve been cooking for many years and this looks heavenly. Thank you. You are so welcome! You will love them! Thank you! We love them, too! I’m glad you do! Thank you for letting me know! It’s the active yeast 🙂 Hope you like them! Hi! I tried this recipe and it turned out great! Can I also use melted butter instead of vegetable oil? If so, should I use the same amount? Thank you! I have not tried using the butter instead, but I would think it would be the same amount. Let me know what you think! It shouldn’t 🙂 Hope you like them! 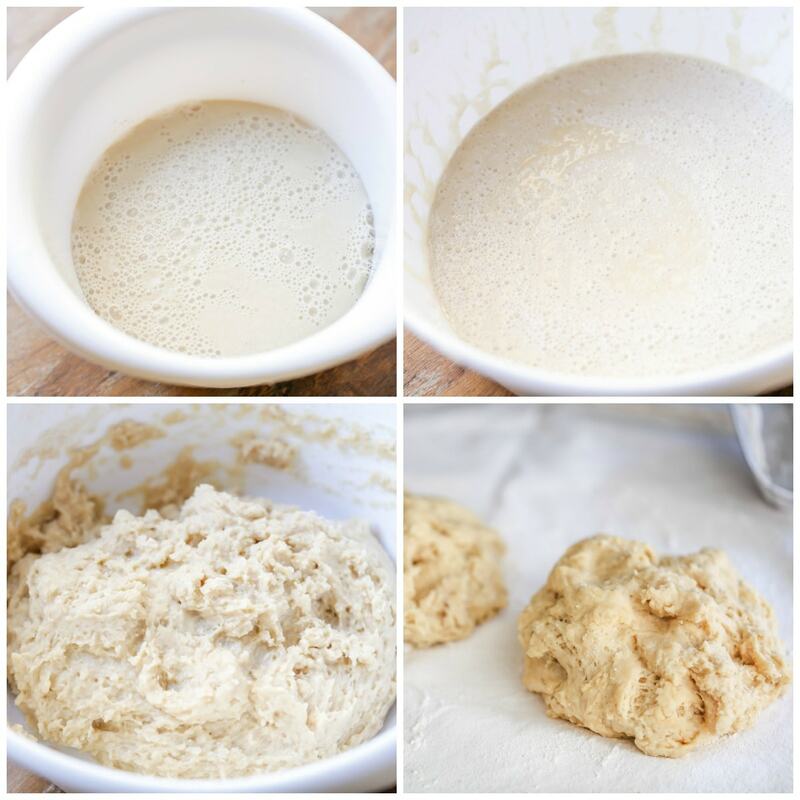 Are you using regular yeast or rapid rise yeast? These look wonderful! Can’t wait to try them! I can’t wait to make your mom’s rolls tomorrow! Gotta practice now so they’re prefect come holidays! Has anyone had any success making these in advance and freezing them? I want to make them for a party in a few weeks but I’ll be short on time on the day. i needlasagna recipe..tnx to share your ingredients its big tnx.. I think I types the wrong email address by mistake. The one below is correct. I made using my bread machine on dough cycle as i usually make dough. I found using my glass Pyrex pizza pan as a template was also helpful. I am happy you learned too! Thank you so much for letting me know! All breads and other recipes looks yummy. I wish i could bake them perfectly! You can do it! Thanks so much! Can we freeze these? If so, how? Before baking or after? I haven’t personally tried. I like to make mine when I know we’ll be eating them or bringing them somewhere. But, I would think maybe before you bake them. We like to do it by hand around here, but you can do it however you like 🙂 And, a few hours, meaning 3 hours or until it’s doubled in size. Hope that helps & hope you like these as much as we do! What is TB yeast? is that tablespoon? These look amazing! How long do you actually let them rise? They are the best!! Just depending on the humidity, weather, temp…but usually it’s around 3 hours. Just keep checking..when they have doubled in size, they are done. How many hours before mealtime do you start these rolls so they are ready for dinner? Thx. I like to start them in the morning. As they need to rise for a few hours, twice. You could start them no later than 10:00 & have them warm & fresh. No need to publish this. Thanks for your comment back. BTW. My Aunt Betty and Uncle Zane Merkley are my favorites. Uncle Zane passed away, but Aunt Betty in her 90s is still going strong. If you are related to my dear Aunt Betty, your are fortunate to know such a great lady. I got 60 rolls out of one batch! Oh, that was making them round though instead of crescent shaped. Easier that way! Round is just fine 🙂 Thank you for sharing!! It could make up to 4 dozen, depending on how big you roll them. I hope you like them, as much as our family does! I’ve made bread just a few times. Can I start these tomorrow. Let rise then roll out and let them sit overnight then bake thanksgiving morning? These rolls were amazing! Easy to make and just melt in your mouth delicious! The only thing I did different than the original recipe was use bread flour in place of the regular flour as that’s what I had on hand! SO, glad you liked them! They are the best! Glad the bread flour worked out! Thank you for sharing! Can the dough be refrigerated overnight and baked in the morning? I personally haven’t tried. I know my mom hasn’t had luck with that. But, maybe you know tricks? I’m sorry, I wish I was more help! Homemade rolls are great, love them all. Made these last night and they are already gone. My family loved them! I’ll also be making these for Thanksgiving. Thank you for the wonderful recipe. I used my kitchenAid mixer and had no problems. Perfect! I’m telling ya, there are never any leftovers! Thank you for letting me know! 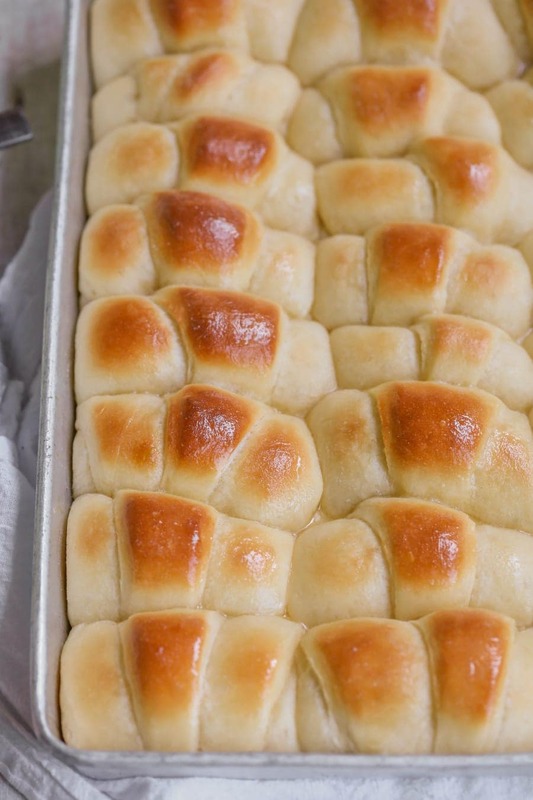 I want to make these rolls today so I don’t have to worry about them tomorrow (thanksgiving). Do you think these will be just as yummy tomorrow if I make them today? Yes 🙂 Though, they are the best fresh, but they’ll still be good! If I don’t have tea towels can I cover with plastic wrap? These look so fluffy and moist. yum! They are seriously the best! Hope you’ll try them soon! I’d love to know what you think! Can the recipe for your mom’s famous dinner rolls be successfully doubled? Of course 🙂 Thanks so much!! These were a big hit this Thanksgiving. They will now be on our menu every year. Simple to make & delicious! I’m so glad you thought so!! We have them with a lot! Thank you for sharing! OnE year later & these are Once again on our Thanksgving menu. In fact, they are at every family get together. Over the last year We’ve had them at Easter, father’s day, mother’s day…..you get where i’m goIng. They are easy & Delicious. They have become a family tradition!! Yay! I love hearing that! I agree…they can be for any occasion! Thank you so much! I tried and it turned out to be awesome everyone loved it ! But I made them at night for breakfast they we’re really good at that time, but dry and hard in the morning. Can you please tell me any tip on how to store them so they don’t lose their softness? Thanks. I’m glad you tried them 🙂 I like to store mine in a ziploc baggie. I hope that helps! How warm does the water need to be and how long to let it sit to bubble? YAY!! Glad you liked them! They are our favorite! Thank you! 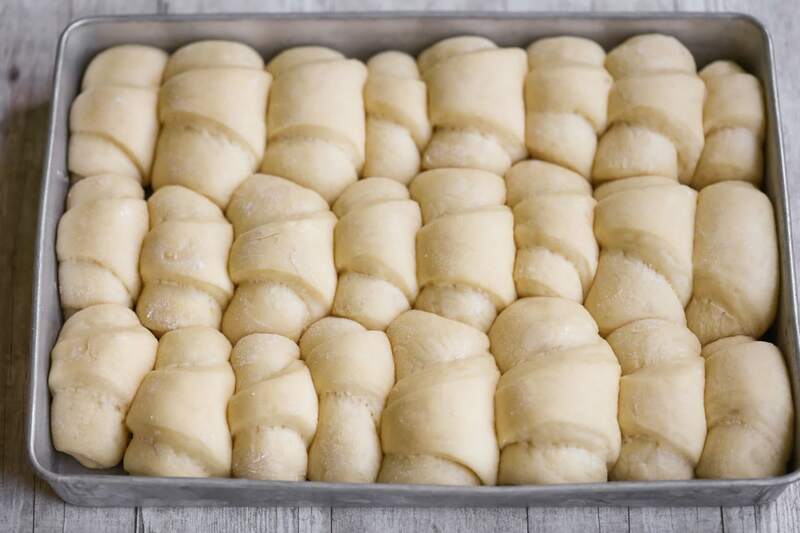 If I wanted to freeze heavenly dough recipe would I freeze it after rolls are formed but before they rise? I haven’t tried freezing them. I’m still perfecting recipes with yeast, so honestly I’m not sure when would be best. I would think before they rise. Good luck! It was very easy theyTaste delicious and buttery. I’m happy to hear that! Thank you so much for giving it a try! I’ve made these yeast rolls twice in the last month because the recipe is so good! Everyone has loved them! I’ve tried several yeast roll recipes, but this one, by far, is the best! Thanks for sharing!! These rolls look great. I’ve decided to try and make them today. This will be my first time making anything bread wise by hand. Currently waiting for the dough to rise, fingers crossed it works out. I wanted to try and make these for Christmas this year. So this will be my test batch. My only concern is when I had everything mixed to transfer to another bowl ( for it to rise) the dough seemed stiffer than what it looked liked in the video. Does that mean I did something wrong? Or over mixed? I hope not. They should be ok! How did they turn out? They turned out great. Thanks again for the recipe. Definitely making them again. Definitely the best rolls I’ve been on a search for roll recipes! Yay!! We think so, too! Thanks so much! I haven’t tried with these, but that would be great! ENJOY! Thank you!! They really are! They are not difficult at all 🙂 You are so welcome! Hope you like them! I personally haven’t tried that, so I’m not sure how that might change anything. Did they turn out? My rolls were okay. They were dry in the inside. Any tips on how to fix this issue? How much butter should I spread onto the dough? I also added 4 cups of flour. Could this have been the issue? Next time i will try 3 cups. I love your pastries. Tried making the bread rolls and home made bread. It came out excellently well. Very soft and yummy. You are the best Kristen! Keep up your good work..
You are a wonderful cooker and the best photographer… congratulations!!! What kind of flour do you use for Heavenly rolls? I have bread flour,self rising, and all purpose. what type of flour are you using, All purpose or Self rising? I used all purpose 🙂 Hope you like them as much as we do! Can you give me the measurements for half half the amount please. These rolls look absolutely fabulous! So fluffy and super delicious! Definitely a must try recipe! They are!! Won’t use any other recipe! Let me know what you think! Wow! These rolls turned out perfect! Thank you!! They are our favorite!! Not at all, it’s just more sturdy 🙂 You can use whatever you have on hand. Hope you like them! So I’m confused. The prep time says 2 hours for dough rising. So I made them and then it says a “couple of hours” in the bowl then Cut them and let them rise again for a “couple of hours”. If it does take more than an hour each time I think the prep time should be adjusted to match. Thanks. What is the best flour to use for the dinner roll recipe? Are these dinner rolls made with all purpose flour, bread flour or what kind, also do you use regular yeast or rapid rise? I used regular all-purpose flour & the regular yeast 🙂 Enjoy!! 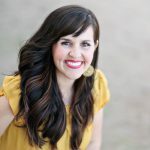 Thank you, Kristyn! Looking forward to try more recipes and ideas. Can these rolls be mixed in Bread machine? I have made your BEST Homemade Bread several times and have received many compliments. Today I am going to try your BEST Dinner Rolls. I hope they are as good as the bread! Thank you so much! I am so glad you like it 🙂 I hope you like the dinner rolls just as much! Is there an option to add cardamom? I’ve had these with cardamom and I love them! Would like to receive new recipes and creative diy ideas. I am a retired great grandmother, love to cook, and always looking for cute new ideas for home or for gifts. You can sign up for my e book 🙂 On the home page, scroll to the bottom where it says “stay up to date,” enter your info & you’ll get new ideas 🙂 Hope they help! Thank you! Ur the best, I love ur recipe thank u so much. Awe, thank you so much!! I am glad you like this recipe! is the flour just regular flour not self rising? Do you have to let rise 2 hrs ? I haven’t tried less, but if they look ready before that, they should be ok. Rising all depends on where you live, climate, humidity, those kinds of things, so it might not take you 2 hours. Thank you for your fantastic recipes! One question regarding these rolls: no need to knead at all? You list of ingredients is missing things. Like the correct amount of SUGAR..24 1/2 sugar???? Butter how much and for what? You say to use WARM milk but where does it say to WARM it? Is the milk to be scalded? Then let to cool down? Bake at what temp and for how long? Really need your help. Oh caps are on your site not because I chose to use them. The recipe card says 1/2 teaspoon of sugar & 1/2 cup sugar for two different steps. And, you could melt 1/4 cup of butter. It’s just for brushing on top of the rolls, so you may not need that much or you may need a little more, just depending on how much butter you want. You can warm the milk before you start. It doesn’t need to be scolding, just warm. The temp on the card says 375 degrees for 15-20 minutes. Hope that helps! Could I use rapid yeast in the pocket? If so,how many pocket? The pocket say, 2 1/4 teaspoon. Because I would like to try it. These are the most de rolls ’ve ever made. I had extra dough so i made apple turno & even a pizza Crust they were all delicious. I can’t wait to make them again. Perfect use of the leftovers! Thank you so much! Perfect use of the leftover dough! Thank you so much! You don’t need to knead these rolls at all? No kneading, there is mixing & punching down the dough, but no kneading. They are seriously the best!! Hope you try them! My whole family loved it! 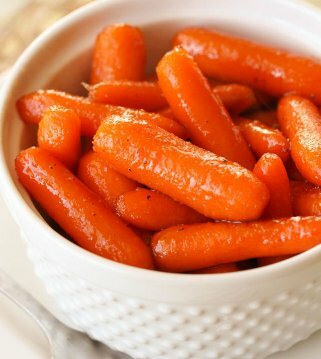 Super yummy and easy to make. My very first time making dinner rolls ever so not sure what to expect but it turns out really good so thank you for sharing your recipe! Yay!! I am so glad you tried them!! Now, you’ll be making them all the time 🙂 Thanks so much! LOL…love that!! I am glad your guests love them!! I can’t wait to hear what you think 🙂 Hope you like them!! Yes, all-purpose 🙂 Hope you like them! I made these rolls for my family this past saturday and they were a total hit. I only made 1/2 of tHe recipe because there were only three adults eating. Well the three of us ate 10 rolls, they were so good right out of tHe oven. My son likes his with a little more butter and he ate so many that he didn’t have much room left for the main course. This was my first time making them and i will be making A doUble batch for ThanksGiving. These will definately be my go to rolls from here on out. TRy them, you won’t be abLe to at just one. Oh, I love to hear that!! It’s easy to eat a lot of them! I am so glad they liked them!! Way to go! Did you change your heavenly rolls recipe? The one i use to follow i thought have fewer ingredientS and my family loved them! Not this one 🙂 I have so many roll recipes, though. These rolls are ABSOLUTELY the best ever! Has anyone else ever made them into other shaped rolls? I have not, but that would be a great idea! Best rolls I have ever made! Seeing the video made a big difference. I love hearing that. I am so happy that you think that! Thank you for sharing that! Since my vacation, years ago, at youR great country i lòve dinner rolls! Once and while i make dinner rolls. Yours look very jummie and today i give it a trY. Thanks for your recipy. I’ll let you know. I made THe rolls last yearANd they Were delicious, making them for Thanksgiving dinner. Thanks for the Recipe!!! I agree!! They are a family favorite! I am glad you think so, too! Thank you! TrYing out your delicious looking bread recipe for thanksgiving. I found this recipe last year for Thanksgiving and I have made them at least 10 times since. Once again Thanksgiving is here and these rolls are “requested and required” thank you for a delicious recipe. That’s exactly how it is over here 🙂 I am so glad you like them!! Happy Thanksgiving! Above the recipe, it says the total rise time is two hours. In the recipe, though, it says the should rise “for a few hours” in the bowl and again “for a few hours” after SHAPING the rolls. Is the total rise time 4 hours, or is the recipe wrong? 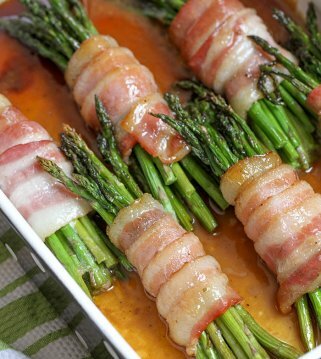 We love these for holiday dinners! I bet it fills the kitchen with the most amazing smell too! Oh, it smells heavenly!! Thank you! please let me know for how many days/weeks can i preserve these rolls? I only like to keep them for no longer than the week, if I were to keep them in a storage bag. I haven’t tried freezing them, but you probably could. Best rolls ever!! A new family favorite. No more serching for a worthy roll recipe. Yay!! I love to hear that! I am so glad you think that! Thank you! Just like the name says, these rolls are heavenly! Soft, buttery and delicious! Nothing better than homemade rolls!!! Thanks for sharing! I agree!! Homemade rolls are the best! Thank you! MY KIDS WILL GO CRAZY FOR THESE! I AM DEFINITELY MAKING THESE FOR CHRISTMAS, THANK YOU! You are so welcome! I hope they do! These look so fluffy and perfect! Great with every meal! Love your site. For some reason I stopped getting your emails, but I signed up again. Yay! Merry Christmas! Top marks!!! I make them couple times a year on special occasions and they are loved!!! I am glad they are!! We love them too! Thank you! How much butter do u use? These rolls were delicious. I made them in my kitchenaid and they came out great. Light and Fluffy and buttery. Next time i will try to stir the INGREDIENTs together and see how they get. Great! I am glad you liked them 🙂 Thank you for letting me know! Amazing recipe! I only let it RIse for one hour the first time and 30 minutes the second time… Came out fluffy and absolutely delicious! So happy to hear that!! Thank you so much!! Delicious and perfect for many occasions!! Thank you so much for sharing that! I am glad you liked them! I made these FOR Christmas FOR the family. Absolutely delicious. Really easy to make. A few weeks later, i made them using olive oil and butter with fresh garlic for an italian pasta dish. OMG. So good. Love THIS WEB site. Thank you for the recipes. You MAKE me look good. Really looking forward to receiving this recipe for the Heavenly Rolls. My dough (I used 4+ additional cups) was so sticky it was very difficult to work with. Should I add more floUr? Yes, you may need a little more flour. Sorry, to get back to you so late. Did they turn out? Thank you! I hope you give them a try 🙂 They really are so good & easy! Hello You have flour and all purpise flour i. The dinner roll recipe is the first cup of Flour regular self Resizen or all purpose too ! I just MADe this and THey are amazingly DELICIOUS.I ate 3 of them AWAY.thank you for SHARING them. can i make these with bread machine? This is the 2nd time MAKING these rolls. Absolutely delicious. My family loves them. THe RECIPE is super easy to FOLLOW and the ingredients are so easy to find. If you are looking for ROLLS that are “heavenly” delicious, you have GOT to use this recipe. Awe, thank you so much for saying that!! So, glad you love them as much as we do! I made these for easter And they turned out pretty good. Next time i will bake them at 350 instead because i goT them out after 13 min and they were buRnt on one end of the pan and all of them were darker on the bottom than i PREFERRED. I baked a few extras in a smaller pan on 350 and they were perfect. I will definitely make these again. Thank you for trying them 🙂 I am glad you liked them. Since, all ovens are different the baking times will vary, so hopefully, you found a good time for them to bake.